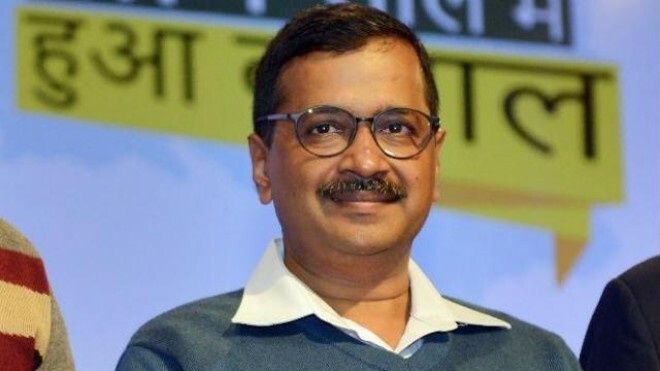 New Delhi, Mar 13: AAP Chief and CM Arvind Kejriwal says that an internal survey of AAP party resulted that, 56 percent of people say that BJP will suffer from vote percentage because of its conduct regarding the Pulwama terror attack and the Indo-Pakistan tensions. Striking back, BJP said it was an indignity comment that Kejriwal has made by comparing elections with the bravery of soldiers. Kejriwal at a press conference said the survey by their party portrayed that BJP is handling the conflict between India and Pakistan in a negative light among people. Later he took to Twitter saying 56 percent of people in the survey feel the BJP will suffer electoral losses because of its conduct. Replying to a Twitter user, Kejriwal said that "The question was, Will BJP gain or lose becoz of Pulwama and subsequent Indo-Pak tensions?" In a stinging attack, BJP legislator Vijender Gupta said Pulwama terror attack and its revenge was taken by the Air Force at Balakot are political issues for Kejriwal but the BJP considers it as the honor of the nation. "It is a matter of shame that Kejriwal is weighing the profit and loss of the heroic action of our soldiers in this manner. That is why he has become Pakistan's poster boy," Gupta said. The BJP leader also alleged that Kejriwal and his party were misguiding people with their fake survey.